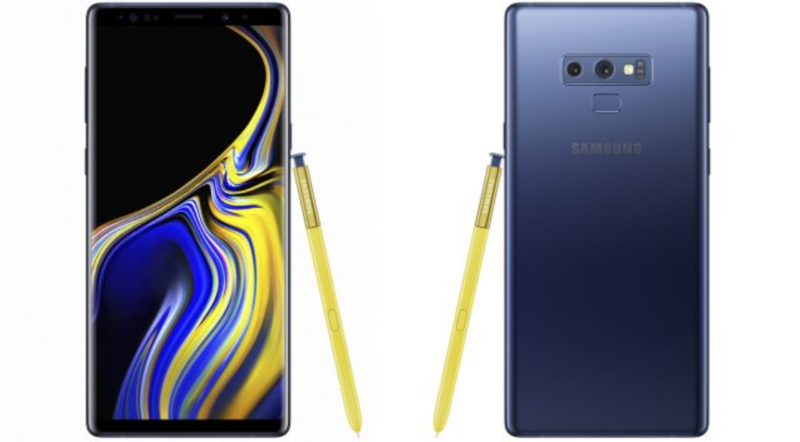 Samsung Galaxy Note 9 Goes Official with Improved S Pen and Larger Battery - Playfuldroid! Samsung has taken off the covers from the Galaxy Note 9 smartphone. The handset has arrived with improved specifications, but it features the similar design like the Note 8. The USP of the Note 9 is its versatile Bluetooth enabled S Pen stylus. The Galaxy Note 9 that comes in colors like Ocean Blue, Lavender Purple, Midnight Black and Metallic Copper measures 161.9 x 76.8 x 8.8mm and weighs 201 grams. It is an IP68 rated water-resistant and dustproof device. Compared to Note 8, the successor phone comes with reduced side bezels and a repositioned fingerprint scanner which is now placed below the dual camera setup. The Note 9’s 6.4-inch Super AMOLED Infinity Display supports Quad HD+ resolution. It comes with features like HDR 10 and Always on Display. The Galaxy Note 9 is powered by Exynos 9810. Some markets will be receiving its Snapdragon 845 model. The 128 GB and 512 GB storage variants of the Note 9 feature 6 GB and 8 GB of RAM. It also features a microSD card for additional storage. The water cooling heat pipe inside is large which promises good temperature under control while carrying out processor intensive tasks on the phablet. 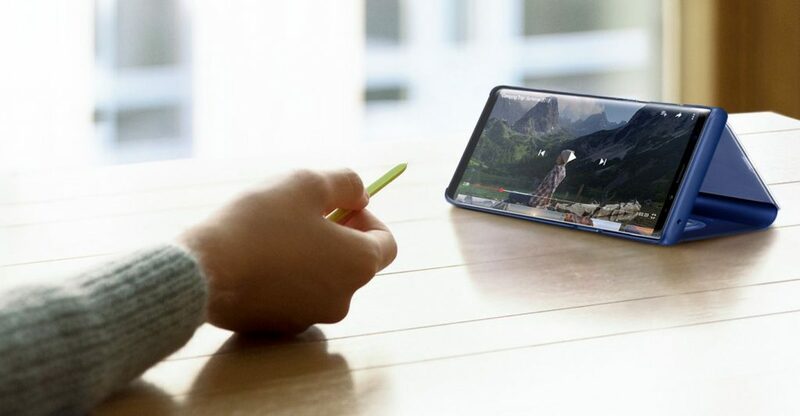 Unlike the predecessor model, the Note 9 allows its users to use DeX without a docking station. The 4,000mAh battery of the smartphone supports Quick Charge 2.0 and wireless charging. 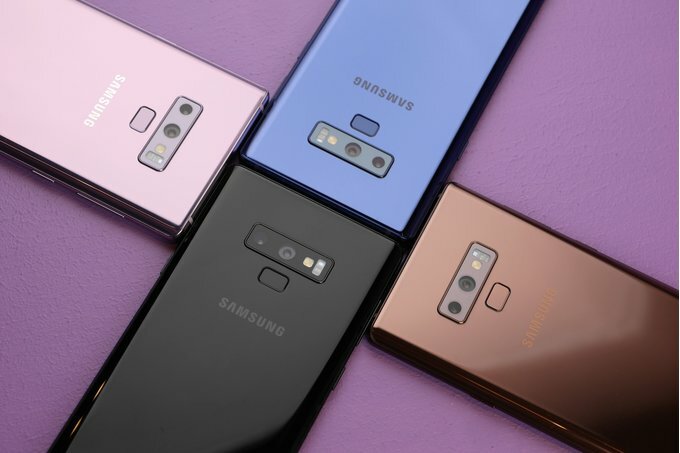 The Galaxy S9+’s 12-megapixel dual camera setup with variable aperture and OIS has been installed on the backside of the Note 9. At the front is an 8-megapixel autofocus enabled camera. The S Pen is equipped with Bluetooth Low Energy and its physical button can be used to access different functions on the phone. In the U.S., the pre-orders of the Galaxy Note 9 will start on Aug. 10 followed with a market release on Aug. 24. The 6GB/128GB and 8GB/512GB variants of the Galaxy Note 9 are respectively priced at $999 and $1,249.